Please welcome AMOM's newsest sponsor! Nandini of Digital Potporri has some amazing digital products in her Etsy store - papers, embellishments, alphabets, frames and more. You simply MUST check her out. 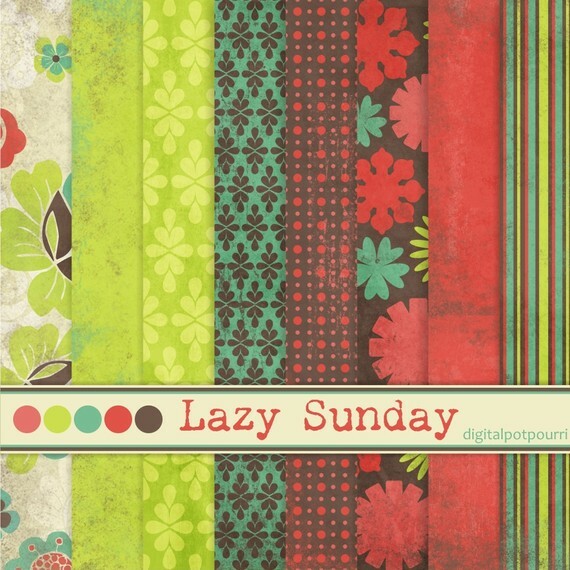 While there are numerous lovely things to see, the thing that caught my eye this month was a collection of patterned papers called Lazy Sunday. She used on of my favorite colors combinations - red, green and teal - and the patterns are just lovely! Check out the rest of her shop here. The embellishments Tania teaches in Embellishments: Beautifully Handmade are not JUST fun, unique, and beautiful: their cost is a fraction of what you’d pay for ready-mades. You’ll make flowers from fabrics, felt, dollar store finds, patterned paper scraps, buttons and brads. Tania will take you through the process of paper piecing, making the ever-popular epoxy buttons, your own journaling spots and much much more! Learn to select and prepare your materials for beautiful results and maximum yield. Tania doesn’t want you wasting any bit of your supplies. Additionally, her crafting instructions show novices exactly how to proceed while revealing new tips and tricks to the more experienced crafter. 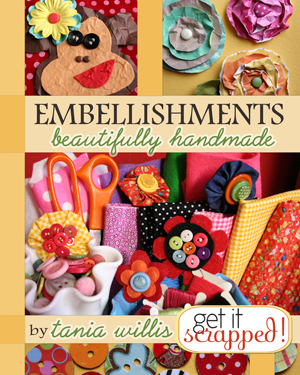 Visit the Embellishments: Beautifully Handmade product page to see if it's for you! See other current class offerings in the Get It Scrapped! box in the right sidebar! Nicole's always got great new die cut designs available at her Etsy shop...and old favorites in new colors and textures as well. 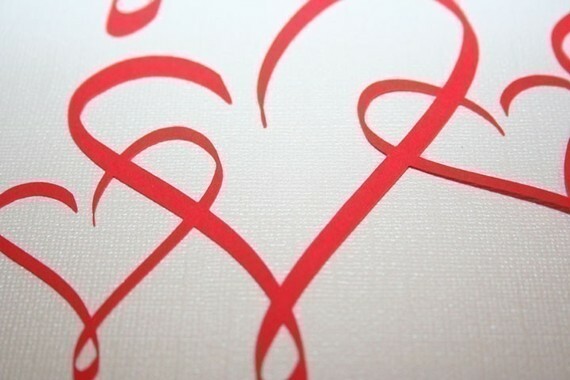 Just in time for Valentine's Day, this set of adorable die-cut hearts caught my eye this month.. Check out her store for more great items! Did you see my post earlier this week for an amazing giveaway of Nicole's products? She was extremely generous and you still have some time to enter for your chance to win. Don't miss out! Creative Ideas for Events & Holidays is the newest eBook offering from Ella Publishing Co.
"Ready to spice up those holiday and event layouts? 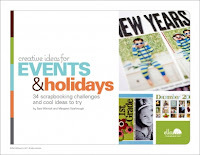 The authors of the popular Text Tricks for Scrapbookers are back with new tricks you'll be dying to try. Join the fun as Sara and Margaret tackle 12 unique scrapbooking challenges, sharing dozens of ideas for freshening up birthday layouts, Christmas pages, and Halloween designs—not to mention layouts about the first day of school, Valentine's Day, Disneyland vacations, and more! Get ready to get inspired." Be on the lookout for a full review (and perhaps a giveaway!) of this title coming soon on the AMOM blog!! WOULD YOU LIKE MORE INFORMATION ABOUT BECOMING A SPONSOR OF THE AMOM BLOG? If so, please contact me and I would be happy to provide you with further details.